We all dream of having a beautiful smile with straight pearly white teeth, free from malformations and crooked teeth. Some of us are lucky enough to be born with these teeth, and others believe they can only dream of that perfect Hollywood smile. Thankfully this isn’t the whole truth, a number of procedures exist that can produce a beautiful line of straight white teeth. No more do you have to dream of that perfect smile, instead, a visit to your orthodontist can set you on the path to the smile you’ve always wanted. 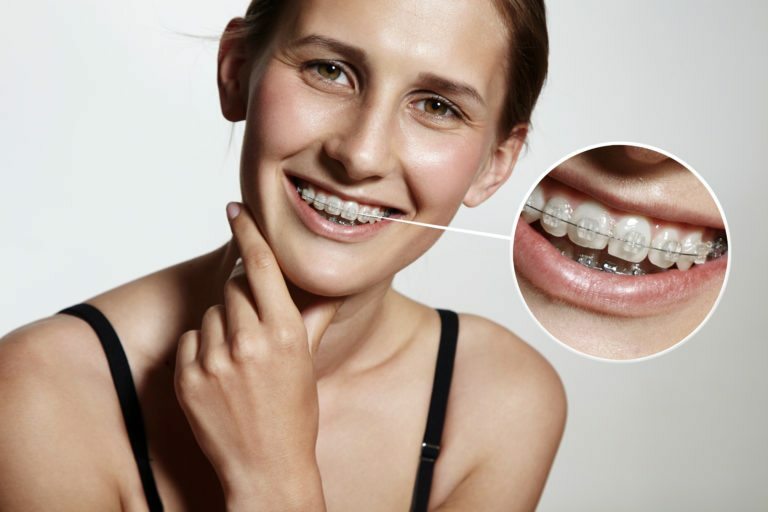 Easily one of the most popular procedure for straightening teeth, in no small part due to its clear aligners that give all the benefits of braces without unsightly metal mouth. They also lack the restrictions of braces, allowing you to eat whatever you like and remove them for proper cleaning of your teeth and the aligners themselves. Invisalign is clear, smooth, and almost invisible, and produces a straight smile in less time than braces. This is another advancement in braces technology that reduces the total treatment time necessary to only six months, as the name suggests. The wires and brackets used with these teeth mirror the color of your teeth, making them nearly as invisible as the Invisalign treatment. Additionally, this treatment is usually significantly cheaper than other orthodontic options, making it an all-around better solution than traditional braces and a great alternative to Invisalign. Every year new innovations are made towards making teeth realignment faster and easier, and Fastbraces are one of the fastest methods available for achieving results. While not as quick as Six Month Braces, they are still remarkably faster than most other orthodontic options, which can take as long as a few years to show results. Fastbraces design helps to realign the roots to produce a straight smile in as few as 20 weeks. While they lack the invisible nature of Invisalign and stealth of the Six Month Braces, the triangular design of the braces produces incredible results in rapid time. A beautiful smile has an effect on our life far beyond that of merely improving our appearance. When you’re proud of your smile you display it with confidence, which has a positive result on all your interactions. Research has shown that a beautiful smile combined with the confidence it brings can help you in advancing your position in life. From seeking a new position to asking for that first date, the confidence you get with a smile you’re proud to display improves your chances of success. Contact our office today to start on your road to a new and improved you with straight beautiful teeth. No more do you have to hide your misaligned teeth and imperfect smile behind closed lips or a bashful grin. Instead, you can approach the world with confidence and the knowledge that you’re bringing an incredible smile everywhere you go.